April is here, and so are the answers to the previous FAQ thread! If you have more questions, please let us know in the comments! 97% of unique users who responded to the poll were in favor of full stat resets. We will implement a full stat reset for users for 2 weeks starting next week. So... it’s possible to u guys post 2019 schedule for Ragnarok restart? Or the Ragnarok is near? 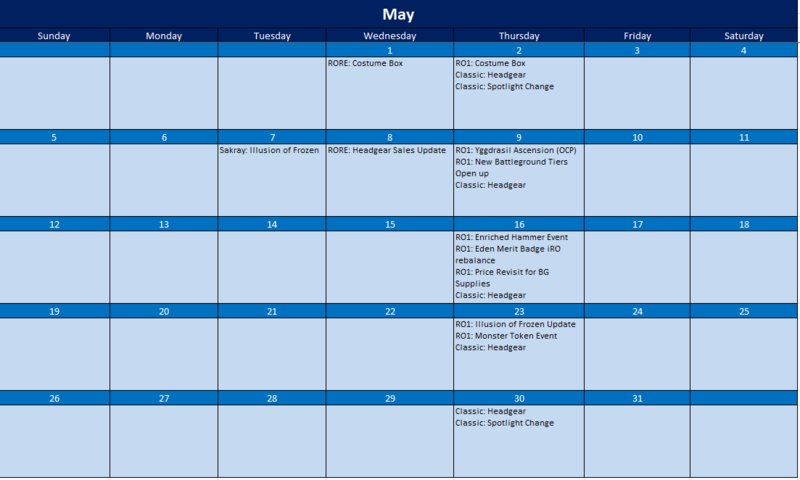 Campitor: This FAQ includes the April/May Calendars. 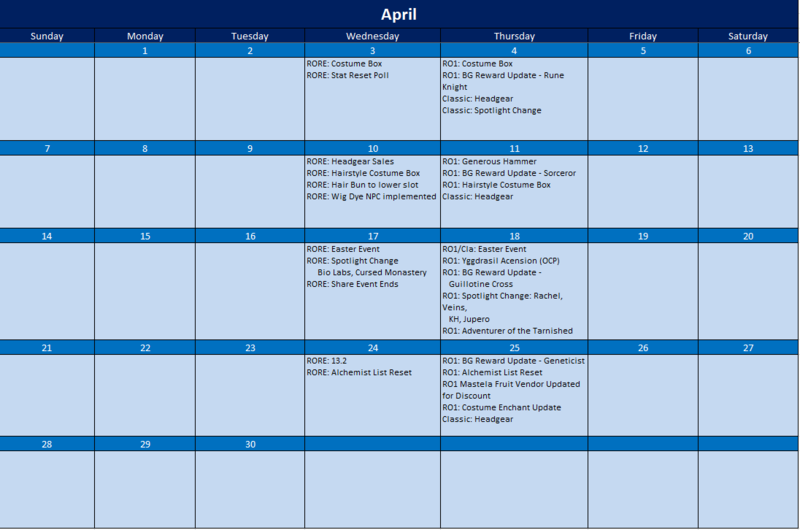 Although we have a year plan it is constantly changing and sharing it right now just means it will change down the road. Giant Whisper card is obtainable in OCA?? ?Also Sword Guardian card??? Campitor: Giant Whisper Card is not in any OCA on renewal or RESTART. Sword Guardian is missing from RESTART's OCA list. We will do another check and make sure its up to date with the latest update. Is it possible to lower the Raffler prices to reestablish the economy? Campitor: We will review the prices and check it versus the current market rates. Is there a chance we could get Dr. Jonesy to exchange Treasure Box for Witch Starsand? Why is only limited stat reset while the rest gets full reset? Campitor: Please see the beginning of the post where the results of the quiz are posted. @Camp, the bots are still roaming at gl_knt01 and the maps where ghostrings, angelings, devilings are. I'm sure the people who bot check these forums enough to take their bots out of harms way in time before you guys reach them. There has to be another solution to the problem. Campitor: Xealot will make sure that the GM team is following up on this report further. @Campitor, I was curious if you could give a insight onto which direction RE:Start is headed? Like, is it going to become a renewal server in the next few months or is there a different plan in the works? When will upgrades 13.3 come? Edited by Zobaa, 13 April 2019 - 03:41 AM. April 10th mentioned headgear sales, but the maintenance doesn't seem to mention anything about headgear sales, just the same hairstyle/bun/dye stuff as on the calendar. I don't see any new headgear on sale. What was the calendar referring to for April 10th, first item? is there a chance we get token event as well like renewal? As I struggle to continue to motivate myself to play even though people around me are quitting left and right, im trying to figure out how Warp Portal can stop this downward spiral torwards the Ragnarok of Ragnarok Online, at least for the RE:Start server. I would really hate for this server to end up just merging with a existing renewal server. This server has a lot of potential to become something more than a 3rd class renewal server. Not sure if you read my post last week in the maintenace thread regarding a possible direction for this server, but I do know that alot of players on this server would quit if 3rd class gets released. The players who visit and post on this forum is only a smaller percentage of the actual player base and is not a good representation of the player's voice. As we approach renewal, I would like to suggest the possibility of creating a npc like you did for the full reset, but this time for voting yay or nay to 3rd class. However I do feel that just simply keeping it 2nd trans is not going to work long term either. There needs to be updates for 2nd trans class that makes the server unique and possibly bring back interest. At this time I would like an insight from you regarding the planned direction this server is moving torwards before I decide to spend any more money for things like vip and costumes. This insight is not just for me, but also for my friends that I play with online. Can u also check for ODIUM OF THANATOS card? Edited by VModCinnamon, 15 April 2019 - 12:00 PM. 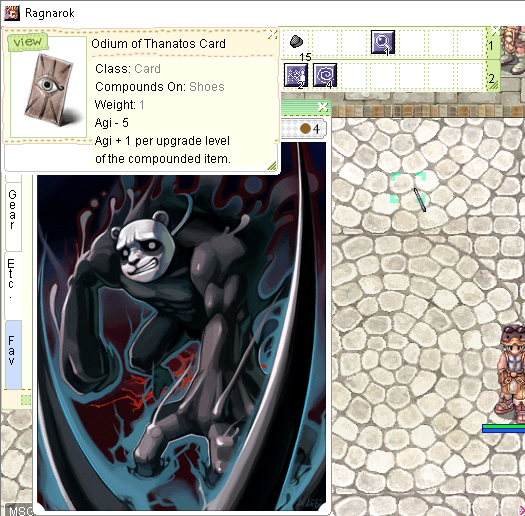 I just got Odium of Thanatos from OCA, so it appears to be included in the list. Did u guys alredy choose winners for Ragnarok Online: Holy Meowtrimony? Will Dr. Jonesy be added this upcoming maintenance to coincide with the /alchemist ranking reset?